A very merry belated Birthday, to me! 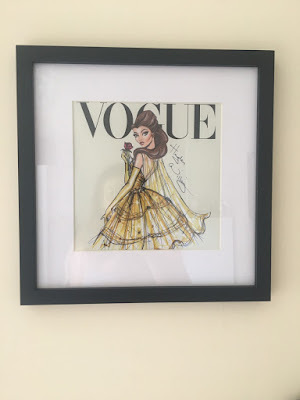 I know I've been a little quiet of late... this often happens in June as it is my Birthday month so I am normally pretty preoccupied with all of the festivities that are happening! Sorry! Birthday Cupcakes! 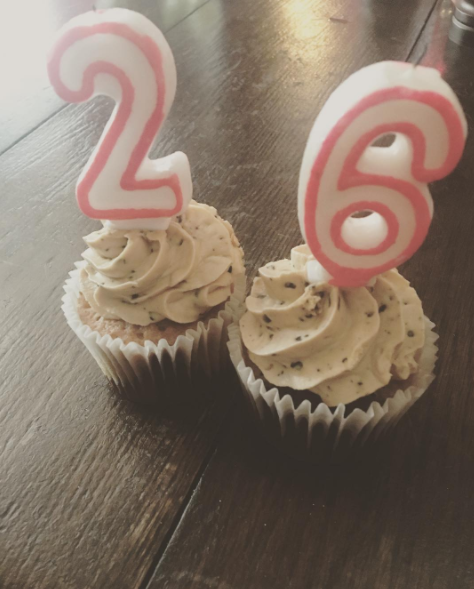 26? How did that happen? 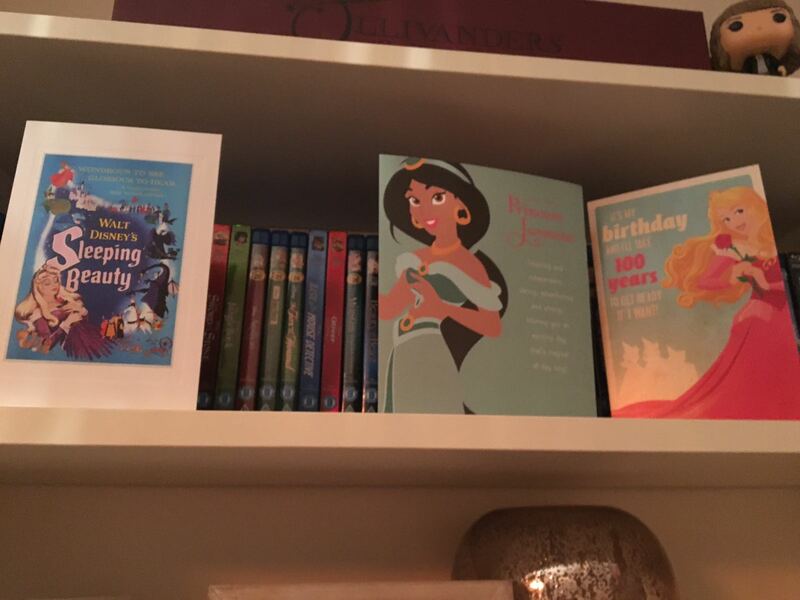 As expected, there were some little Disney touches weaved in throughout my Birthday celebrations that I can't wait to share with you all. 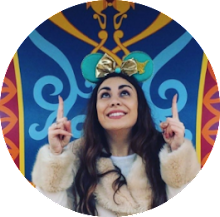 I hope you enjoy this post and if you have any fun Disney-Birthday magic to share, please write me in the comments below! 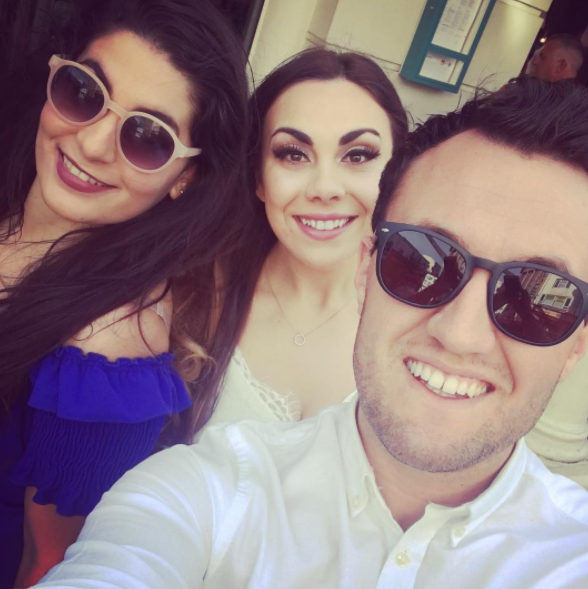 I started off my Birthday weekend with a meal and cocktails in my hometown of Brighton with lots of my favourite people... some of which had travelled very far to celebrate with me which I was very grateful for! Annika, Dan and I pre-Wahaca feast! 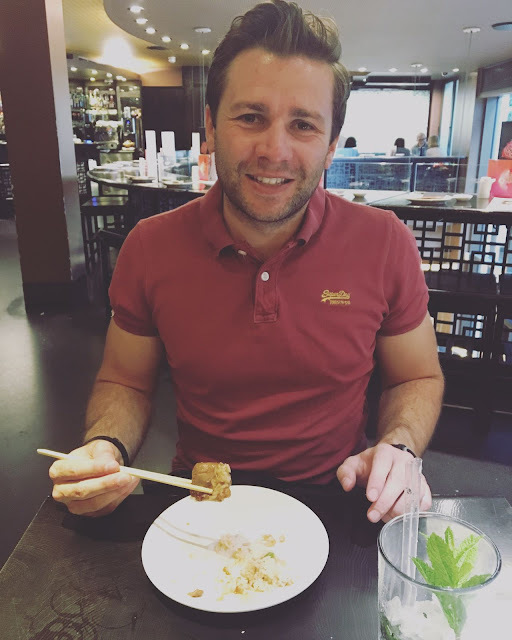 Annika had travelled from Bristol and Dan from Billericay, Essex so I was very grateful to see them so that we could spend some quality time together! 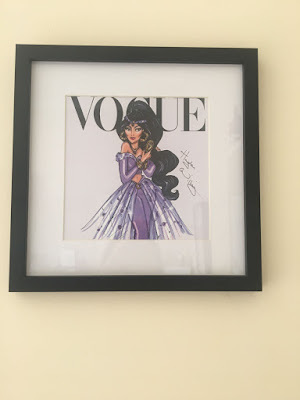 I received lots of gorgeous gifts from my friends including a few Disney items. 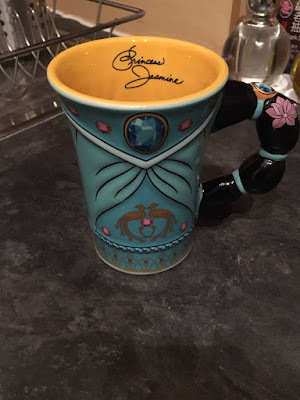 My fellow English Lit Grad and Disney obsessed friend Laura got me someting which I have had my eye on for absolutely ages... the Walt Disney World Princess Jasmine mug! 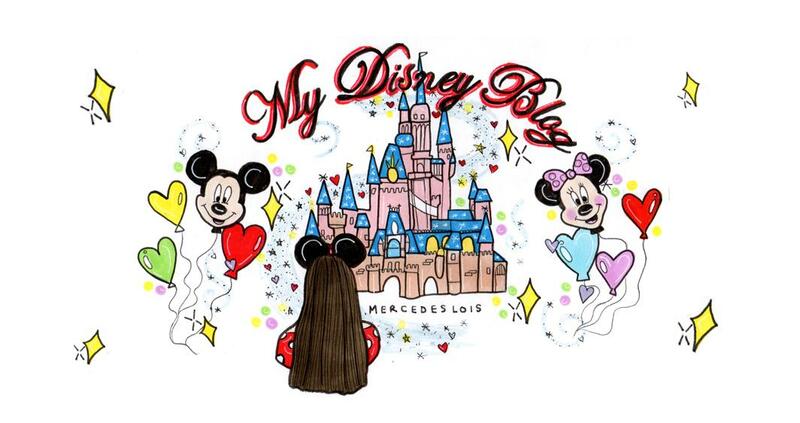 Disney are currently selling the WDW Princess Mug series on the UK Disney Store website so you can buy them for your nearest and dearest too... or just treat yourself! 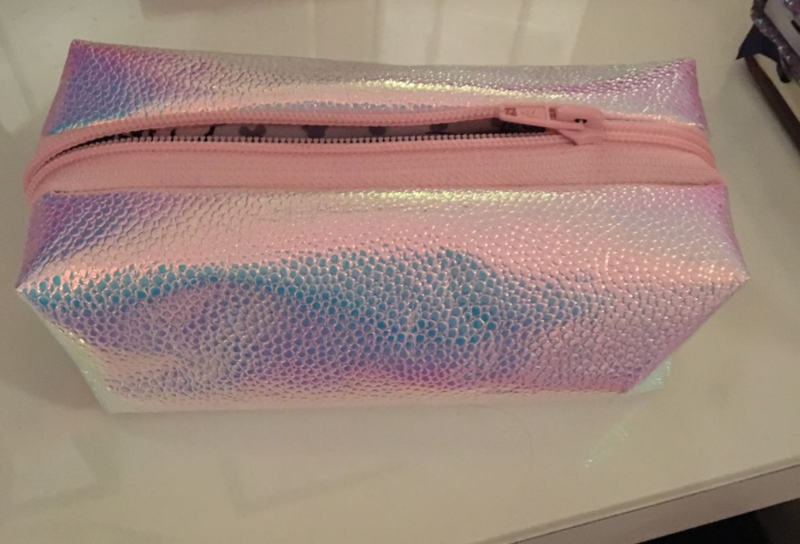 My dear friend Richard got me a beautiful iridescent pouch which I absolutely love and I thought initially that he had purchased it from Skinny Dip, a brand that I am very fond of, so I was completely shocked and even more in love with it when he revealed that in actual fact ,he had handmade it for me! 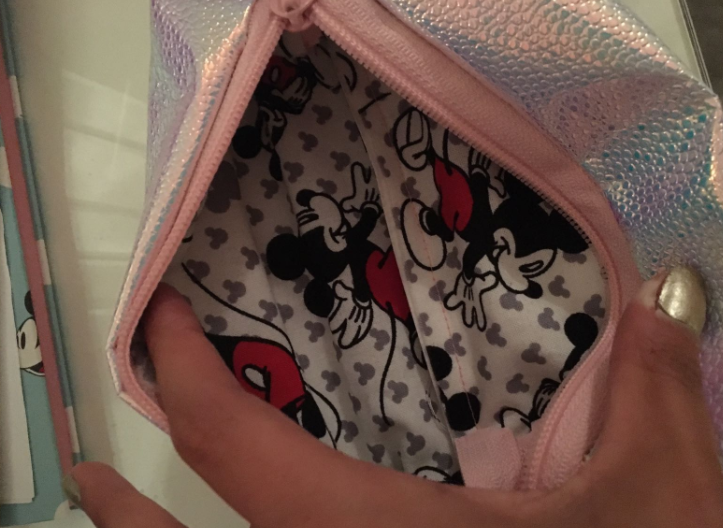 If that was not magical enough, when I opened it up, I could not believe the lining... it was a beautiful Mickey Mouse print! I can honestly say that this is probably one of, if not THE most thoughtful gift that I have ever received and I am very grateful. ...and speaking of Princes, my very own Disney Prince Dan got me a gorgeously scented Mermaid Lagoon candle that is to die for! 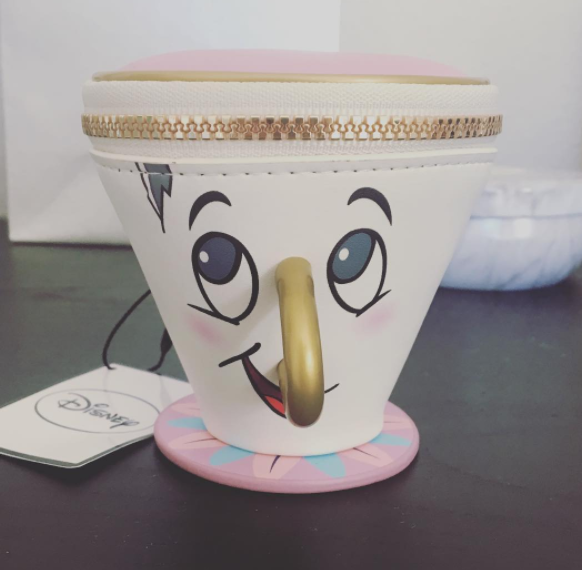 And also, my oldest friend Laura got me the unthinkable... my very own Chip purse! 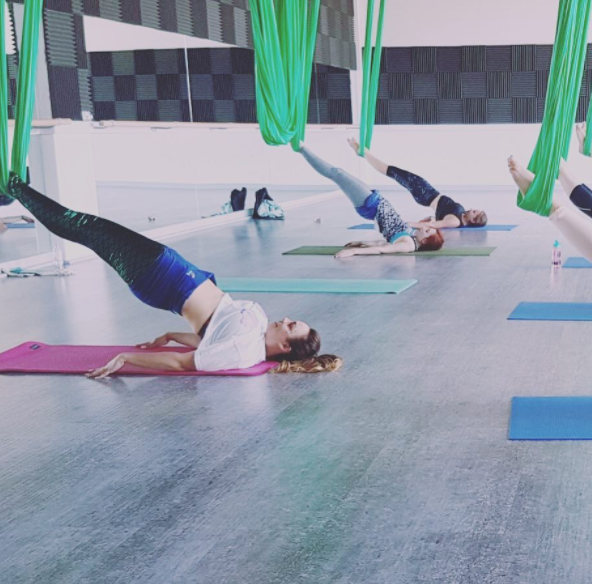 The following day, I decided to share my new favourite hobby with a few of my friends... Aerial Yoga! 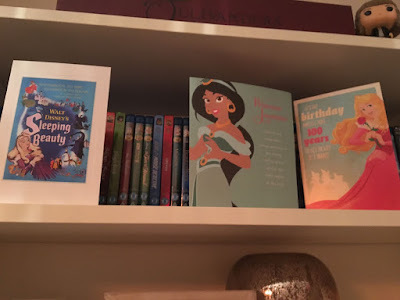 We had a private Birthday Party session with the amazing Rosie from Do Your Om Thing and it was of course Disney themed! 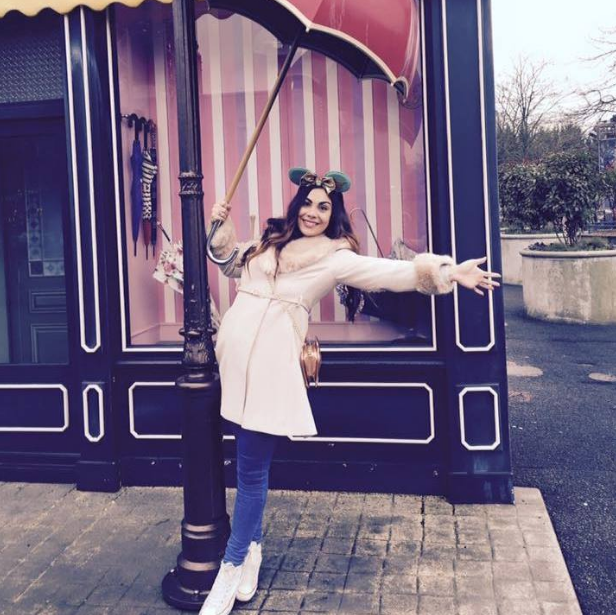 I went dressed as Ariel, so it was literally Ariel Yoga for me... get it? I was pretty proud of that pun at the time. 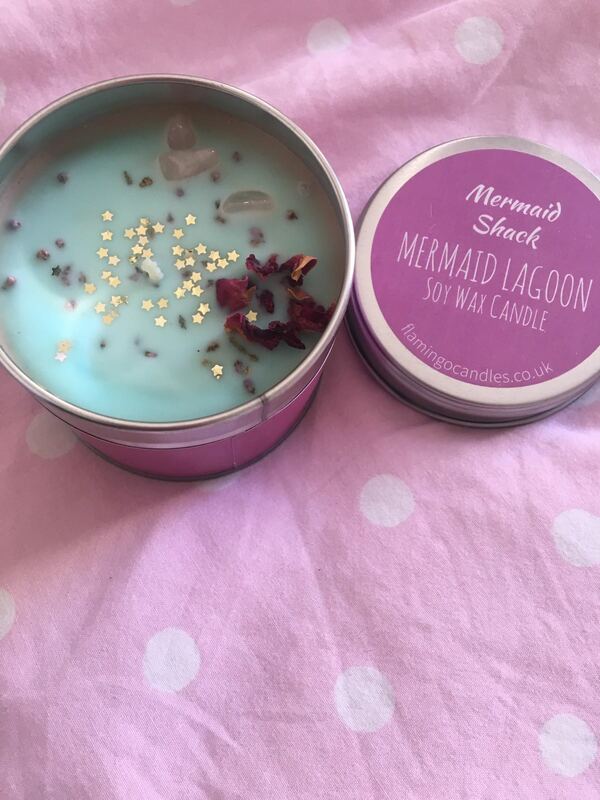 "I can't run, I'm a Mermaid!"... 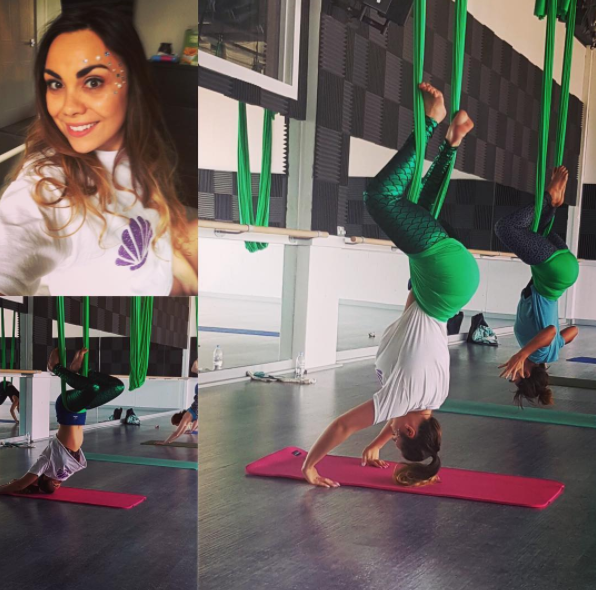 but I can certainly partake in Aerial Yoga complete with face glitter and gems, scaley leggings and a seashell bra top naturally! 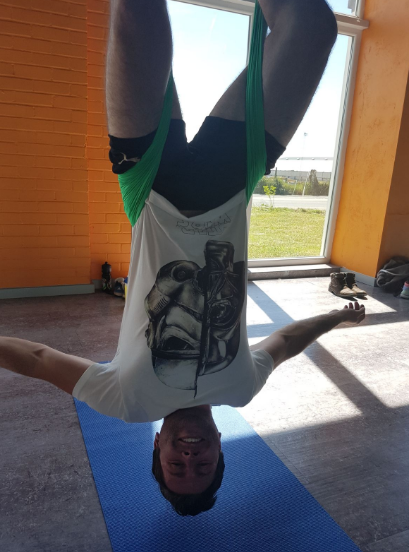 Hanging upside-down on Sunday after an evening of cocktails may not have been my best idea but we certainly enjoyed ourselves! 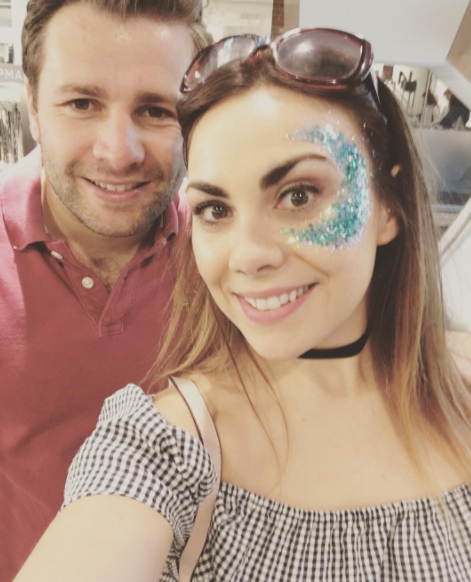 Monday 5th June 2017 was my 26th Birthday and I had a really lovely day... despite being pretty terrified at the fact that I am now closer to 30 than 20! Grumpy and I met my Mum and her Boyfriend for brunch in Brighton and I opened my gifts from my family. 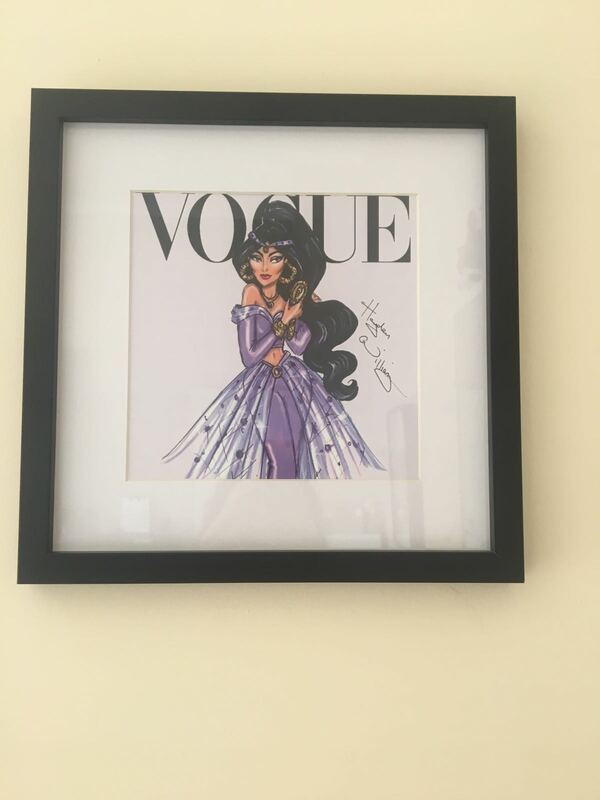 They are currently sat above my vanity area and they look absolutely perfect. Even Grumpy doesn't seem too bothered by them! From my Grandad, I received Moana on Blu Ray which was much needed for my ever expanding collection. 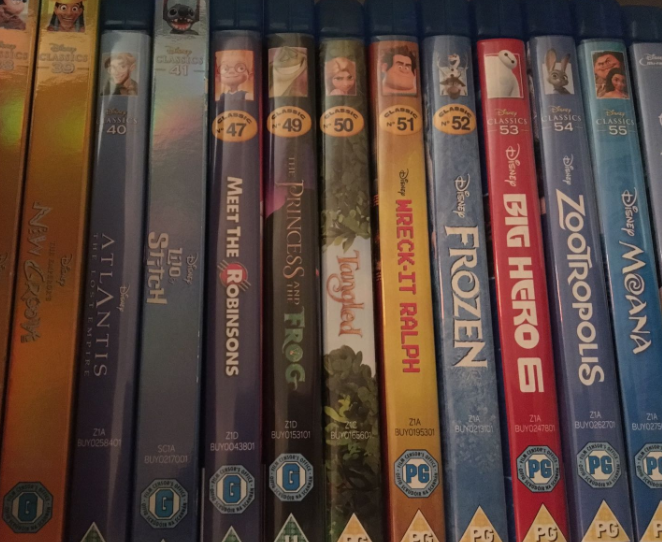 Grumpy's parents also got me an incredible gift that I didn't even realise you could purchase in the UK. 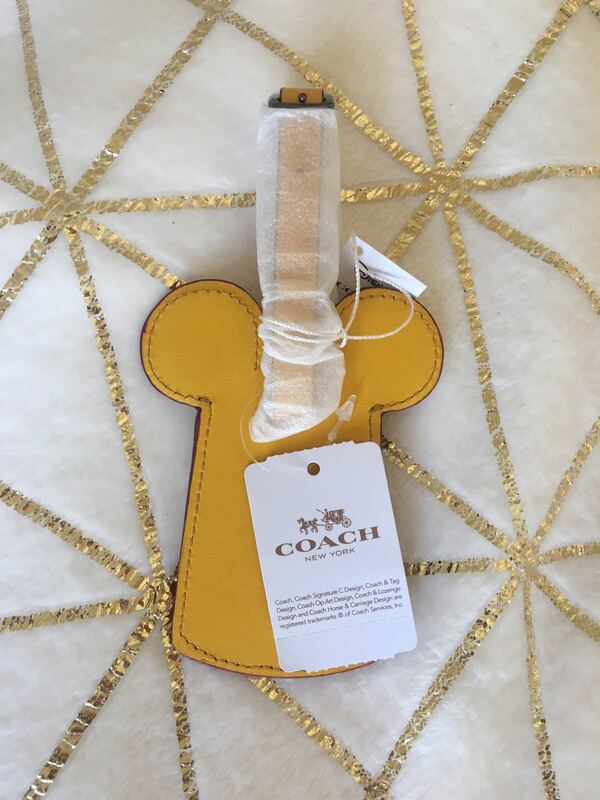 A leather Disney X Coach luggage tag! I was honestly so delighted when I opened it. It's amazing quality and I am super excited to use it for my upcoming trip to Turkey this Summer. 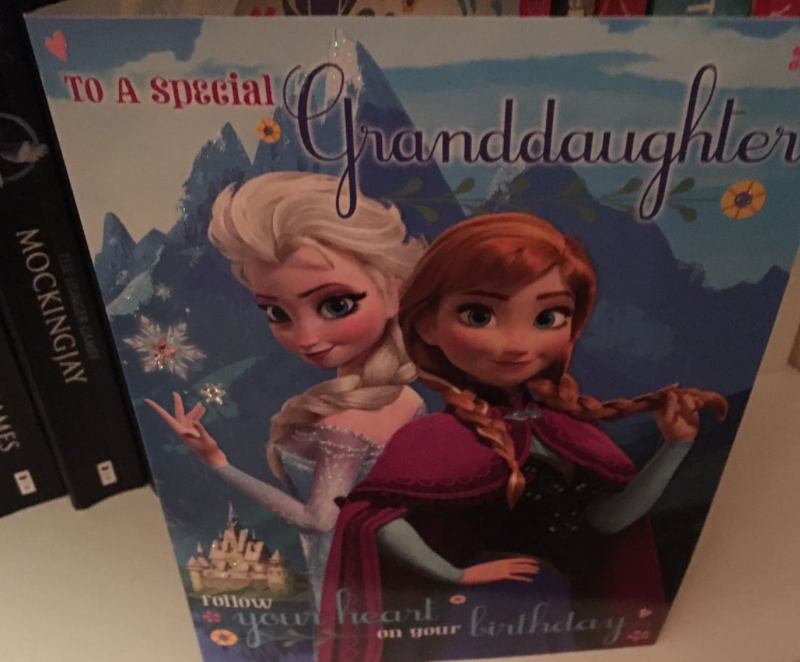 ...and of course, there were more Disney Birthday cards! After brunch, Grumpy and I caught a train to the capital for a fun filled afternoon and evening. Our first stop: LUSH Oxford Street. I spent a small fortune on the LUSH Oxford Street Exclusives thanks to the very generous LUSH voucher that I received from my Mum's Boyfriend and some additional Birthday Money from my Dad. I had a wonderful experience in-store and a long chat with the sales assistant who just so happened to live in Brighton too! She was very sweet and despite not 'really' being allowed to, she decorated my face so that I was Birthday ready! 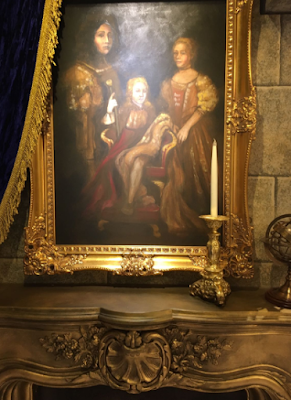 I know that The Gyspy Shrine isn't really related to Disney but come on... I look like a sparkly, glitter, mermaid! That's totally on topic! 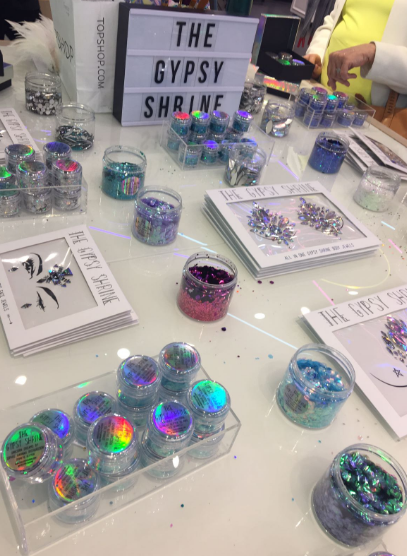 After having my face 'glittered', I purchased some of The Gypsy Shrine jewels and a silvery, holographic glitter using a Topshop Voucher that my friend Lucy very kindly gifted me. 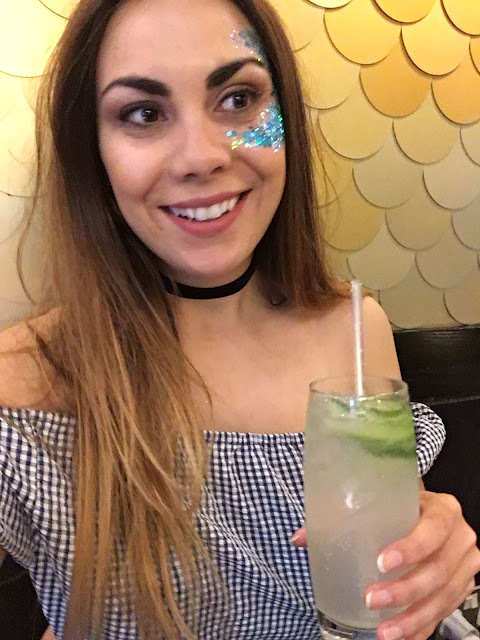 I was trying to think of the perfect occasion to use the glitter and jewels since I won't be attending any festivals or anything this summer and then I remembered that Grumpy's little sister and her partner bought me a Drag World ticket for my Birthday! 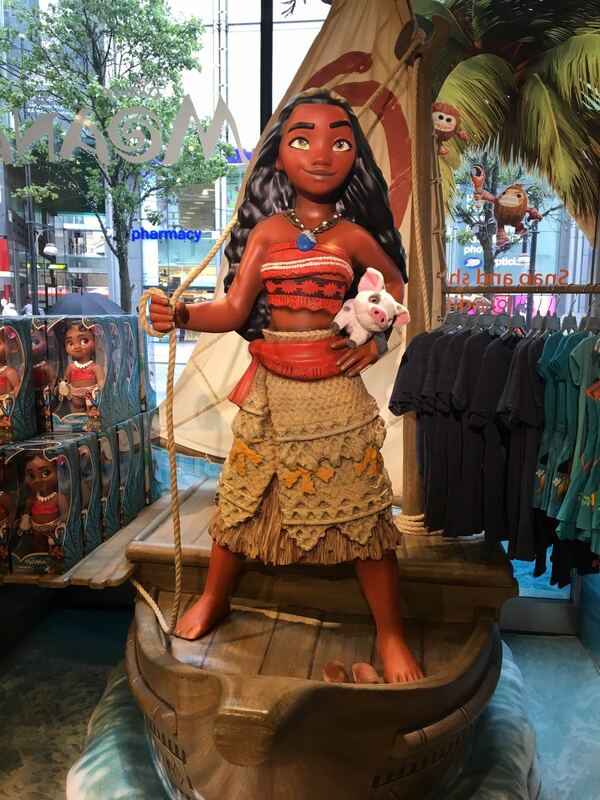 You guessed it, The Disney Store. How could I go to London and not pay this place a visit? 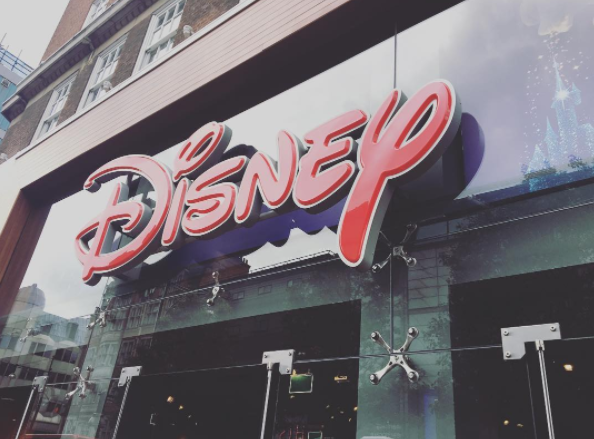 It's been almost a decade now since the Disney Store in Brighton closed it's doors for the final time so I am always super eager to visit a Disney Store whenever I know that there is one in another city I am visiting. 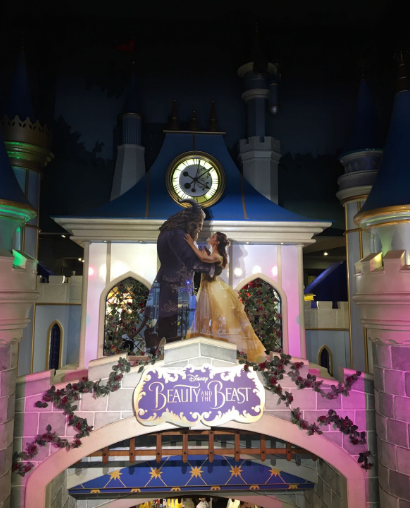 Naturally the store was all dressed up in honour of the live action release of Beauty and The Beast which I massively appreciated. Cinderella's Castle at the entrance was adorned with beautiful roses and larger than life images of Belle and her Prince which made the whole place feel super regal and even more 'exclusive'. Oxford Street stores have all the fun. Downstairs, little sets and details from the movie had been replicated and were in place surrounded by accompanying Beauty and The Beast merchandise available for sale. 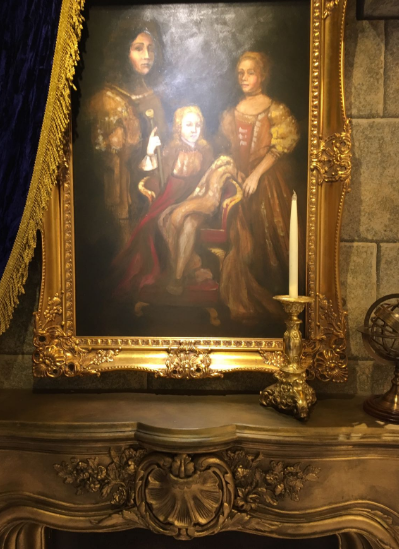 It was attention to detail at it's finest and nothing short of perfection, something that the Walt Disney company has become synonymous with. 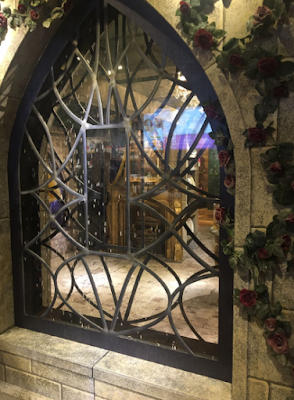 The Disney Store even had the Beast's Castle windows with snow falling just like in the movie! 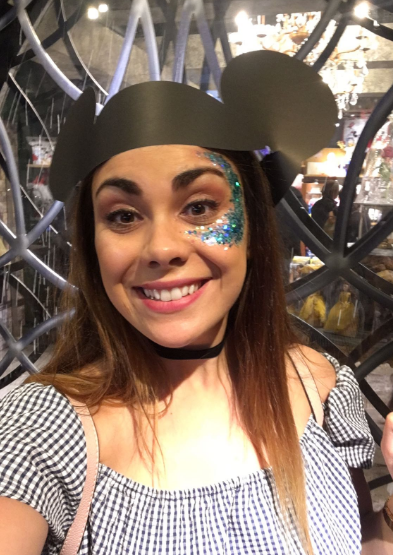 After walking around the store browsing for a little while, a cast member asked me why I had a glittery face. I explained to her that it was because it was my Birthday and she wish me a Happy Birthday and disappeared. My very own Mickey hat! This is why I love Disney - they just care so much and their customer service is unbeatable. 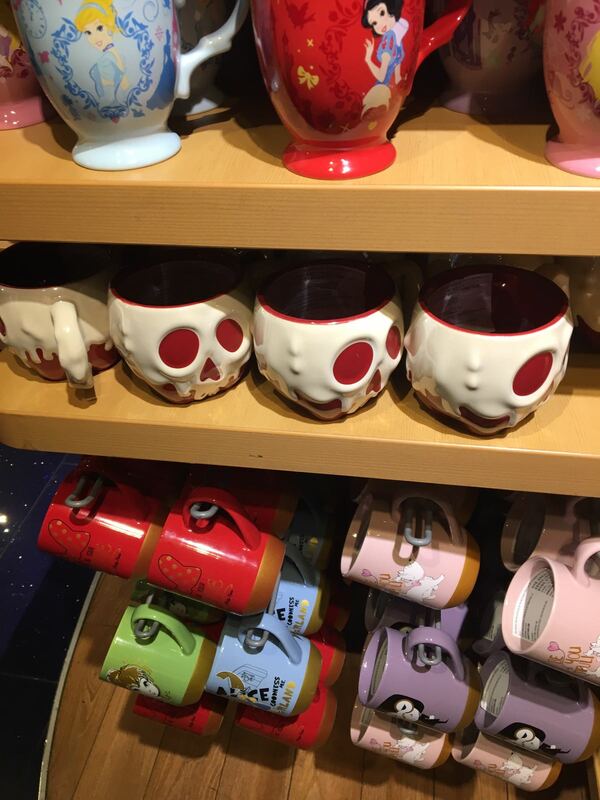 I was actually pretty restrained during my visit to The Disney Store and I only made one purchase; The Poison Apple Mug. The Disney Store have approached me about sharing this picture on their Social Media! I, of course, said YES! 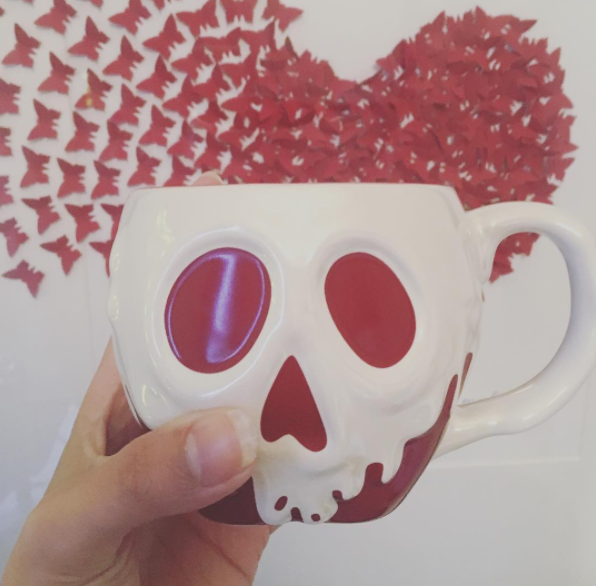 As if I needed more mugs. I'm a mug for buying so many! After receiving the Princess Jasmine mug and purchasing both mugs from the 101 Dalmatians X Cath Kidston collection, I swore that I wouldn't purchase any more but I just couldn't resist this one. Those poison apples are very tempting... I can see how poor Snow went wrong! After lots of shopping, Grumpy and I were in need of some food before the evening's main event so we went to one of my favourite restaurants in London, Ping Pong! The cocktails at Ping Pong are to DIE for! The show was awesome; I thoroughly enjoyed myself but I was very sleepy by the end after such a long day so I couldn't wait to get back on the train home at Victoria. 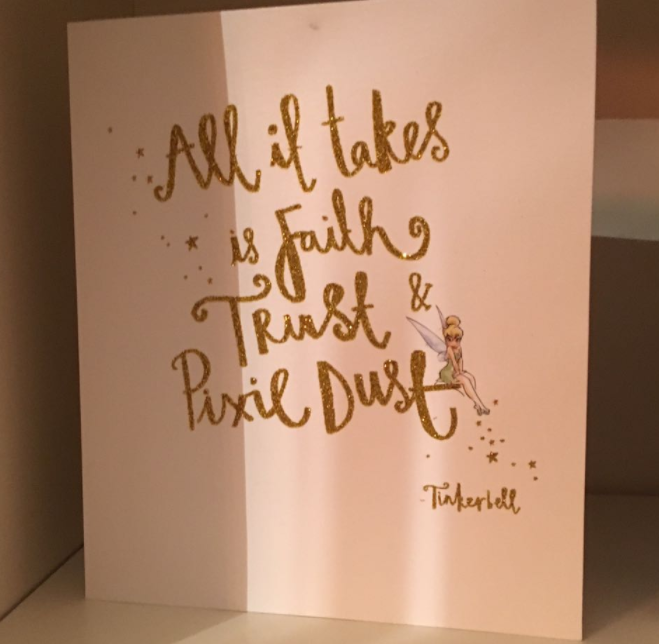 All in all, I had a fabulous 26th Birthday filled with fab friends and family, generous gifts and just a little Disney magic.